I arrived at the airport excited for my weekend trip ahead. There was one thing I had to do before spending the weekend away, and that was prepare my blog post for the week. I aim to write about topics that will not only educate parents, families, teachers and other professionals, but that I can personally or professionally connect to. It didn’t take me long in the airport to come up with the most fitting topic that parents often inquire about: SENSORY OVERLOAD IN THE AIRPORT. Tommy cannot handle the trip to visit his grandparents! Within moments at the airport, he is on the floor in complete meltdown mode unable to cope with what seems like a typically occurring event for many kids and adults. We can’t plan anymore trips, Dara cannot manage the airport environment. David cried and screamed and kicked all through the security line. My husband had to hold him. He wouldn’t calm down even when we got to the gate, and the plane ride was a nightmare! For children with sensory defensiveness, the airport can be an absolute nightmare. This is the first fact that we have to recognize. This is closely followed by the need to show compassion and love toward these children during such trying times. Let’s briefly slide into the Tommy, Dara, and David’s shoes. You arrive at the airport to a moving revolving door that doesn’t stop. Your timing isn’t great, and movement is challenging for you. It is terrifying to try and get in! You run forward, then back away, forward, back, forward, back. With each attempted effort to enter, your sensory system “dings” from the input and discomfort. You eventually muscle up the courage to take the chance and dive in, but not before receiving a few pokes, prods and pushes from your older sister or brother. Those pushes, and prods are additional dings to the sensory system. Once you finally get through, the airport has the strangest stale scent that you immediately turn your nose up to. Ding! You look around and see more signs than you can’t read, people rushing to get to their gate or move through the airport, long lines of people waiting to check in, machines, moving vehicles, rolling luggage: the visual system does not know where to look, what to pay attention to, and there is just so much going on! Ding, ding, ding to the sensory system. Your dad pulls your arm to lovingly keep you with the family. Oh no, mom and dad start fighting about not getting to the airport with enough time. Dad thinks we may not make it to the gate in time, and mom rushes the family along to ensure they can get to the plane that will take them to their relaxing destination. Ding. You arrive at security. The person standing behind you is standing so close to you, and it feels like nails on a chalkboard as they brush their arm past you. You arrive at the TSA officer’s stand and he scans your ticket. The noises of all the machines, voices, and commotion (Ding! Ding! Ding!) make it hard for you to do the next thing you are expected to do, which is: TAKE OFF YOUR SHOES! NOOOOOO!!! You take off your shoes and your socks slide across the airport floor (DIIIIING!!!) Your parents manage your carry-on, but you still have to make it through the X-ray machine, and please, oh please, DON’T WAND ME! Over the loud speaker, you hear gate changes. “Just keep moving” you tell yourself, but it’s so hard with so much going on. The stress level within you rises. You’ve made it through security and that’s only half of the battle… onto waiting at the gate, then the sights, smells and sounds of the airplane. OT for Sensory Integration? Why?? Sensory integration or sensory processing is the process by which we receive information through our senses, organize this information, and use it to participate in everyday activities. The untrained eye sees what is on the surface and at times that can look like: a child who doesn’t want to wake up in the morning, argues about what clothes they wear, tantrums during bath time, displays physical aggression when upset, melts down during family outings to the zoo and refuses to eat X,Y, or Z (heck, maybe even the whole alphabet!). As occupational therapists who specialize in sensory integration, its our job to figure out the real reason why. We believe all children are innately good and any “acting out” has a clear and understandable purpose for them. The longer we work in the field of occupational therapy, the more opportunities we have gotten to see the long-term impact and implications of our work with children. Children turn into teens, teens turn into young adults, and young adults turn into adults in our community. As we watch children move through therapy, meeting their goals, attaining new skills, improving self-regulation and facing fewer sensory-related challenges that once engulfed their everyday life, we see them develop a sense of self-awareness. Their once-challenges have helped them develop confidence and the ability to self-nurture in adaptive ways. With some support, they are able to learn healthy ways to manage their challenges and excel in life rather than be left to their own (often maladaptive) childhood devices which may follow them into adulthood. Addressing self-modulation and self-regulation impacts a child’s resilience, self-esteem and body image, ability to engage in self-care and age-appropriate activities, social activities, cope with emotional and sensory triggers and find restful and healthy sleep-wake cycles. Rest assure Parents and Professionals, that what we do now, what you are doing now for your child, while it may be difficult at times, will have long last lasting and life-impacting effects. Thank you for trusting us with your child’s care and for giving us the opportunity to set the stage for your child’s beautiful future. We don’t take this privilege or your child’s sensory processing challenges lightly. Have questions about your child’s sensory integration? Email us at info@trptkids.com! Dearest OT, What is Expected of Me? We love working with our clients and their families. We are grateful for getting to be a part of your child’s (and your) team. Parents often ask what they can do to support the therapeutic process. They may wonder what our “expectations” are of them. They are often aware of their expectations of us being in the therapist role, but they may be unclear as to what we “expect” of them or what they can do to impact their child’s involvement in occupational therapy. Please hear our united voices when we come together as a staff to tell you that we don’t have any “expectations” of you. We place “expectations” in quotations to make it very clear that we simply don’t have any. Any expectation we could fabricate would assume judgment regarding what you “should” be doing. That simply is not our job. We encourage our families to continue to show up to the best of their abilities. We acknowledge that your job, while it is the utmost fulfilling, is the hardest of them all. We know you are doing your very best as parents. Your child did not get to our clinic on their own, but rather, it was their supportive and loving family that enabled that major stepping stone to occur. We recognize that as a major contribution that we will not overlook. We encourage our families to engage with their therapists as much as they are available to. The more we can come together as a team for little “Bobby,” and be on the same page and share the same knowledge, the better we can do our jobs, and support your child and his/her family. We often see several children and their families in a single day. We may use occupational therapy jargon and throw out terms more than we are aware of, and we certainly do not expect you to own our OT pocket dictionary. Parents, caregivers and teachers are always encouraged to question any concept or idea that isn’t clear or any term that isn’t clearly understood. There is no room for judgement within the confines of our clinical practice. Questions are always welcomed and appreciated. If you want to know specific activities or tasks you can do at home with “Bobby”, then do not hesitate to speak up and ask. We love when parents reach out and want to take an active role in their child’s development! Are you wondering what toys may foster improvement in his visual perceptual, fine motor or other related skill that “Bobby” is working on? We are here for you. We are your resource, and we are on your team! As your child’s occupational therapists, we, at Timber Ridge, do not “expect” anything of you. Instead we invite you to be as much of a part of the therapeutic process as you, your spouse, caregiver, or teacher is available to be, and we will happily guide you along the way! Hand Dominance: Does it Matter? Hand dominance is established when a child’s brain determines which side, left or right, is their leading side. This directly impacts their favoring one hand, eye, or foot in skilled tasks over the other side of the body. Based on research completed by Belmont and Birch (1963) and Gesell and Ames (1947), lateral dominance is typically established between the ages of five and nine. However, hand preference begins to present itself as early as one year of age. Very strong handedness tendencies before the age of 18 months can indicate warning signs for future developmental problems. It is crucial for a child to be utilizing both sides of their body in early development to foster bilateral strengthening and integration. Development of hand dominance is important in order to skillfully master activities that require fine motor coordination, control and dexterity. In an article written by Kaufman, A.S., Zalma, R., and Kafuman, N.L. (1978), research indicated that children with dominance established between 2.5-6 years old had significantly higher motor and cognitive abilities compared to the group of children who developed dominance between the ages of 5-8.5 years old. In simple terms, the sooner the child develops dominance, the sooner they can hone their fine motor skills. At Timber Ridge Pediatric Therapy, we place positivity at a very high value. Things don’t always come particularly easy for our clients. In sessions, it is our aim to “catch your kids doing good”. Can you imagine how many times per day an average child hears “don’t do this” or “don’t do that”? We like to frame things differently at TRPT. Instead of pointing out what a child may be doing “wrong”, we choose to really celebrate all of the things, big or small, that they are doing right! They are really doing a whole lot of “right” things, so let’s praise them! We encourage you to let your children know the specific actions that make you proud, and the specific actions that should make THEM proud! The more positivity we can bring to our kids’ lives, the more they can think of themselves positively. We love pointing out all the wonderful actions that they are doing throughout their days and our sessions. The opportunities for positivity are endless, and your child will appreciate it. So, let’s catch them doing good together! Our kids do so many loving, thoughtful, independent things daily…let’s notice those times, bring those times to their awareness, and let them know we recognize all the good that they do! The more we can point out the wonderful things that our children are doing, the more likely they are to recognize them in themselves, and complete more similar actions. We love working with your smart, sweet, funny, hard-working and curious children! 1. MOVEMENT BREAKS WELCOME AND ENCOURAGED! 2. DIFFERENT SEATING OPTIONS HELP EVERYONE! We all learn differently and benefit from different positions. Check out these new cool options I have for you all to try. We will need to figure out a way to share them because they are wonderful for all of you! I have three stadium seats, a few bean bag chairs, some big therapy balls and a couple t-stools for you all to try. Please try them during quiet work time or during classroom lessons. Learning doesn’t always have to happen while seated at your desk! If it is easier for you to learn in a stadium seat on the floor so that you can rock back to and forth and get a nice squeeze in, go for it! 3. YOUR MOUTH NEEDS TO MOVE TOO, and HERE ARE SOME WAYS TO DO SO QUIETLY! I know focusing can be hard at times. I understand that talking to your peers helps keep you engaged, but it can really be distracting to them and you might miss some important information! Keep your mouth busy in other ways. Chew on a piece of gum to stay tuned in, or use a water bottle with a thick straw you can chew on. Gum is totally okay, but if I see you playing with it in your hands or putting it in inappropriate places, I won’t be able to let you have it. The gum only belongs in your mouth or the garbage! 4. KEEP YOUR HANDS BUSY WITH A FIDGET! Please don’t touch your classmates. Personal space is important. If you need to keep your hands busy, I have a whole assortment of fidgets in the basket by my desk. I’ve got koosh balls, stress balls, silly putty, you name it! I have many different tactile things to keep in your hands so you can keep your mind on the lesson. The same rules apply…use the fidget appropriately or lose it. Sometimes I will even use a koosh ball to toss to you to answer questions, or a weighted ball to pass around the room to keep our things fun and fresh. Please stay tuned for next week’s post because learning how to calm down and regulate is just as important, if not more important, as staying alert and engaged. We will dive into creating a relaxation space in the classroom to add to your sensory strong classroom. If you have any specific questions related to YOUR classroom or your child, we are here and happy to help. Just shoot an email to: info@TRPTkids.com. While kids need strategies to stay alert, they also need support to calm themselves! If your kiddos are school age and meltdowns and outbursts are common, it may be an indication that the child has challenges with self-regulation. Self-regulation is the ability to adjust your level of calmness or alertness given the demands of a particular situation. Sometimes kids just need a “time out” from the sights, sounds, commotion and feelings of everyday life. By creating your very own safe haven, your child or student may be presented with the opportunity to learn about their needs in terms of self-regulation. We love the idea of teaching the calming and coping strategies associated with self-regulation as early as possible. Even tiny humans can understand that requesting a hug from a loved one can make them feel better. We love the idea of having a relaxation space in a tent. In the tent you can provide many tools to help your kids get back to a warm fuzzy place. The tent itself can help eliminate visual distractions and immediately limit the visual field to help your overwhelmed child. Inside you can supply the tent with pillows/cushions and our personal favorite, a bean bag chair, for your child to sink into! You might consider including soft fuzzy tactile items, their favorite stuffed animals or a few stress/squeeze balls. Some tents can be equipped with weighted items to give deep proprioceptive input to the kids such as weighted lap pads or blankets. We also love the idea of including noise cancelling headphones to help eliminate auditory stimuli. It is recommended to get specific noise cancelling headphones because regular headphones will not muffle the classroom or home environment effectively. Soft calming music can also be a great addition. Is there anything else that your child benefits from or is noticeably calmed by? Include it in your relaxation spot! Once you have your lovely safe haven created, you will want to teach and show your kids how to use it and when to use it. The calm down spot is a positive spot and it is encouraged to introduce it without judgment. It is simply an option for your child if they need a minute to relax or calm down from an upsetting event. If you have any specific questions related to your child’s self-regulation or creating your ultimate classroom or home calm down spot, we are here and happy to help. Just shoot an email to: info@TRPTkids.com. Tactile Defensiveness Part 3: Start ‘Em Young! Tactile defensiveness is commonly described as over-responsiveness to touch stimulation, and it can range from mild to severe. Its important to introduce your child to a wide variety of sensory experiences as early as infancy. Allow your child to explore, get messy, and have fun! To prevent a messy home, we encourage you to create a safe space as they grow older where they can experience all the fun tactile sensations this world has to offer. To be clear, tactile defensiveness, as well as all challenges with sensory processing, is a neurological condition and you, as a parent, cannot cause or prevent it- kids with sensory processing challenges likely have a predisposition. However, you can impact your child and create an optimal environment that introduces a wide variety of sensory stimulation and experiences. You can literally create experiences that help your child’s brain develop and learn to integrate the wide variety of sights, smells, noises, tastes, and touches the wide world has to offer. It all starts out in infancy. Here at Timber Ridge Therapy, we are huge advocates of enriching your infant’s brain with a wide variety of sensory experiences and positions to help their muscles (including the brain) develop at all the right times. Imagine this: your child drinks his/her milk from the breast or bottle and it runs down the chin and onto the belly. Or: you feed your six-month old baby a spoon full of pureed green beans and it spreads across their lips and face. Or: your two-year old’s yogurt drips from their mouth onto their hands and clothes. What do you do? Are you quick to catch that food with the edge of the spoon or have a wipe rag ready to go to prevent any unnecessary mess? Consider this… that mess is necessary to your child’s learning processes. : ) If your child learns from an early age that certain tactile experiences are to be avoided, a pattern of avoidance can develop throughout their childhood. Moreover, when kids are gaining exposure to the sensations, their brains learn how to process them. What is our overall message? Start your kids young: let them get messy! Let them sit in it, experience it, and learn from it. The more (safe) sensory experiences you can provide your child as early as possible, the better off they will be. So don’t be afraid of the mud, or glue, or slime, or messy food. Encourage them to play in it and let them know that it is okay to explore! Let me remind you: tactile defensiveness is commonly described as over-responsiveness to touch stimulation, and it can range from mild to severe. In mild cases, it can make your child a little uncomfortable and impact your child’s ability to engage in typical and popular activities. In more severe situations, you may see regularly occurring meltdowns or limiting of your child’s nutrition due to their difficulty with food textures and temperatures. So how do you know if your child has tactile sensitivity? As I said in my last post, chances are- there are some obvious scenarios that reflect their challenges regularly, but sometimes these signs go unnoticed or are misunderstood. You won’t be the first or last parent to think their child just “doesn’t like” wearing jeans, creating art projects or playing in the sand at the beach with their family or friends. With a little education and support, you can learn to be an active investigator in your child’s life as you are the most important figure in his/her life and likely the one that spends the majority of time with them (in addition to other important figures such as teachers and babysitters, of course). It is important to have this information to ensure your kiddo can experience life with the least amount of daily stress and the most amount of success and happiness. Let’s dive right in and explore which common tactile experiences drive a child with tactile defensiveness up a wall. While these are common markers for tactile hypersensitivity, this list is by no means exhaustive. However, if your child has tactile defensiveness, the chances that s/he is negatively impacted by one or more of these experiences are high. You may be reading through the list and nodding your head “yes” to these common markers. You may be thinking that this is something that your child suffers from. You may be asking yourself, “Okay, now what? How do I help my child and change their experience?” Next week I will reflect on some common “do’s and don’ts” to do with your tactilely defensive child and things you can do to help prevent development of severe manifestations. In the meantime, feel free to email or call us here at TRPT to talk to an OT about your concerns, to come in for a free screening, or to schedule an evaluation to see how we can help your child experience the world more comfortably. Does your child have challenges with sensory processing? More specifically, is your child tactilely defensive? Tactile defensiveness is hypersensitivity to touch, and it can range from mild to severe. Everyday (seemingly) typical touch sensations may be experienced by the oversensitive as uncomfortable, noxious or even painful. Simply put, the child with tactile defensiveness experiences touch sensations differently (or much differently) than you or me, assuming we both have typical tactile processing systems. For the record, I do not experience tactile stimuli typically which makes my clients’ challenges much more relatable. While I’m on the subject of my own sensory system, let me start by saying occupational therapy was not commonly utilized when I was growing up. Alas, I did not receive any occupational therapy treatment, let alone by a therapist with a strong background in sensory integration. I just had to deal with it. I had to go through my childhood “holding it together”, because I quickly learned that I didn’t experience the world like those around me. I did not choose my challenges any more than your child chose theirs. Our brains just process the stimuli differently. Are you wondering how I turned out without any intervention at all? Well, I’ll tell you…I’m doing okay; I’m fully functional and some may even say successful! However, I’m very aware of my difficulties and I’ve spent my adult career trying to understand and treat them. Certain textures and sensations make my skin crawl. For example, a light kiss is perceived as alarming and immediately sends me into fight or flight instead of the experience my husband intended. Actual fights have been started by a kiss, I kid you not. I will say that I have learned that if I know the tactile sensation is coming and I visually experience the sensation, it isn’t quite as stressful (reliance on my other senses). Could you imagine if your husband or father had to announce every time he wanted to show affection? This is but one of many examples that I experience on a daily ongoing basis. Why am I sharing this with you? I am sharing this because I want you, the parents, to understand that tactile defensiveness is real and it is not likely just going to go away. I can tell you from personal experience that life was a lot more stressful growing up with this condition. Forget the typical things kids worry about, all of those things were ten times bigger to me because I was just trying to get through each day and experience the world like my peers around me. Luckily, sensory integration treatment and occupational therapy do exist now and are much more accessible to help your loving, smart, sweet tactilely defensive child. Life does not have to be stressful for your kiddo and there IS something you can do! Stay tuned for next week’s blog post on common signs of tactile defensiveness, but chances are, you will be intuitively aware via your own observations or reports from school. However, common signs can help you identify the challenge and point you in the right direction….to Timber Ridge Pediatric Therapy! Calling all prospective bike riders! Is your child ready to move from a tricycle or a bike with training wheels to a 2-wheeler or “big kid” bike? Or are you not quite sure? A great transition bike is a balance bike or “push bike”. If you aren’t familiar, a balance bike is a bike without pedals. They definitely did not exist when I was a child, but I have gotten to see family members and clients benefit from them in recent years. I guess you could call me an advocate, because I’ve seen them create really positive future biking experiences. They can really speed up the process too! A balance bike allows your child to work on so many key components required for two-wheel bike riding, a highly valued child occupation, and it can even be used before a bike with training wheels or in place of training wheels. Don’t get me wrong, I am not knocking training wheels. They can be really useful to work on coordination and strength with pedaling. However, a balance bike puts your child in control and helps he/she learn to control his or her own movement through space. It helps with core strength, balance and coordination and allows for your child to work on these prerequisite skills before taking the two-wheel plunge. By creating a positive experience with a balance bike (in place of training wheels or as another tool in your fun filled parental toolbox), you are also helping to boost your child’s self-esteem and help them become acclimated and comfortable before hitting the two-wheeler pedals. Let’s take a look at what is required for bike riding, shall we? What do we need? Postural control and core strength, for one! It is also an activity that practically beckons each of your sensory systems: you have to successfully integrate your vestibular, proprioceptive, visual, and tactile systems! Also, bike riding does not occur in a vacuum, so your auditory system is working to filter out unimportant sounds and tune in to the important ones (like the yell of a parent to STOP or a car’s honk!). Sensory integration at it’s finest! Bike riding requires good motor planning and bilateral coordination as well (which both rely upon good sensory processing). At Timber Ridge Therapy, we are so often addressing the sensory processes required for bike riding and your occupational therapist can help guide you in picking the best tool and activities in helping your child achieve engagement in the popular child past time. In the spring and summer we offer 1:1 bike clinics and have taught over 100 kids to ride two-wheelers! If you’re unsure if your child is ready or you have questions, drop me or your OT a line (JodieS@TRPTkids.com) – we are happy to help! Part of working on a collaborative and supportive team is sharing ideas and strategies. I often find myself in gratitude for this aspect of my job at Timber Ridge. One concept that continues to resurface with our group of therapists is this idea of finding your client’s, or your child’s, currency. What motivates the child? Do they see the value in your activity? Do they see “the point”? Are they encouraged to participate? Are they completing their work? It is a priceless strength to recognize and cater to your child’s currency in order to encourage participation and facilitate functional outcomes and ultimately carryover in skills across environments. The concept of the child’s currency can be easily applied in the home setting as well as the therapy setting. Some might argue it is even more important for the currency to be established in the home. Honestly speaking, not all kids are intrinsically motivated. When the child’s currency is established, the sky is the limit in terms of engagement in non-preferred activities (think homework time! Chores!) Currency not only applies to compliance in tasks (i.e. “working for/toward something”), but it can greatly impact a child’s participation in “less fun” skill building. I recently had an experience with a client that illuminated the importance of the concept of catering to the child’s interests. Aspects of executive functioning were particularly challenging for my client. Executive functions include elementary cognitive processes such as attentional control, cognitive inhibition, inhibitory control, working memory, cognitive flexibility, time management, etc. High level executive functioning require the coinciding use of many basic executive functions which include planning, reasoning and problem solving. Sounds like fun to work on, right? Wrong…but it can be! Suddenly a lesson in executive functioning was transformed into a child diving into their imagination to create their very own Harry Potter board game. The child was required to address many executive functions like planning, time management, organization, etc., but in the realm of a fun and entertaining concept that spoke to him. When we can find what speaks to our kids then we can truly see magic unfold. So next time your child needs to do a lesson in math, I encourage you to expand past pencil and paper and apply your child’s currency. The activity will not only be more informative, easier to attend to, and (gasp!) enjoyable for your child (and you! ), but there might not be as much push back the next time you set out to address these skills with your kiddo. Find your child’s currency and hit the jackpot! Occupational therapy intervention can be based in a variety of environments, including an outpatient clinic, school, or home. Each of these settings has something unique to add to the benefits of occupational therapy treatment. Treatment in the home allows a therapist to see and modify the environment and routines a child and their family encounter every day in their activities of daily living (ADL), such as getting dressed, eating meals, and moving about grooming/hygiene tasks. Home-based therapy is often reserved for children under the age of three years old. In school, a therapist can work within the classroom setting (push-in) or in a separate space (pull-out) to identify and address areas in which the child is challenged at school. These areas include sitting for classroom tasks, handwriting, transitions, and self-regulation. The outpatient clinic setting offers specialized equipment and space, such as swings, slides, monkey bars, and scooters that engage a child to learn more about their body position in space and how they can move safely and efficiently. Treatment in a clinic may focus on body-in-space awareness, safety awareness, self-regulation, fine motor coordination, and independence with activities of daily living. Most importantly, collaboration between therapists who may be working with the same child in different settings is very important to optimize the outcomes of treatment. Open communication between therapists of the same discipline or complementary disciplines (speech therapy, physical therapy, social work, etc.) allows for sharing of useful strategies and increases the carry-over of the language and cues used to help children succeed with the benefit of consistency throughout their day. Sharing this information with teachers, resource staff, and caregivers will also provide more carry-over of strategies that support a child through their daily activities. With more consistency between environments, children and their caregivers can feel more confident as they engage in daily tasks and new challenges with an increasing repertoire of strategies. Did you know that the reflexes with which babies are born are the building blocks for things we need to do every day? As a protective response, newborns are able to grasp what’s placed in their hand with considerable strength. This is referred to as the Palmar Reflex and it’s the basis for developing how we hold all sorts of objects, from balls to blocks to beads to pencils. Our nervous system is essentially preprogrammed with strategies to help us navigate our environment and build skills to grow with the rest of our body. The Palmar Reflex typically integrates, or becomes part of a bigger repertoire of movements, by 3 months of age. It functions as a safety mechanism and encourages babies to touch things that come into contact with the palm of their hands. The Asymmetrical Tonic Neck Reflex (ATNR) encourages an infant to turn their head and look in the same direction in which their arm is outstretched. The combination of these reflexes prompts a baby to interact with their environment as they touch, feel, and grasp what is nearby, all while looking at the very things they are touching. Tummy time provides weight-bearing opportunities that help stretch the hands to develop the arches that allow for opposition of fingers and increased stability of grasp. All of these experiences provide opportunities to touch different textures, shapes, and gather information about the structure of objects. So many systems come together to explore! As a toddler grows and learns to manipulate smaller objects, the palmar grasp, rooted in the pinky finger side of the hand, yields to the pincer grasp, composed of opposition of the index finger and thumb. Again, children learn how to manipulate such objects and how much pressure to use as they explore new aspects of the world around them. With thousands of these experiences coming together, a child develops a grasp that allows them to grasp and control a writing utensil. What happens if that Palmar Reflex doesn’t fully integrate? Children who haven’t fully internalized the palmar reflex may experience an increased sensitivity to touch on their palm. They may have challenges with manual dexterity and handwriting. The pincer grasp may be immature or absent. Associated mouth movements may be noted during fine motor tasks and a child may experience some articulation differences. When addressing concerns about a child’s grasp, handwriting, or tactile sensitivity, examining the Palmar Reflex is important. For more information about grasp, handwriting, tactile sensitivity or how the Palmar Reflex may be impacting your child, please contact the occupational therapists at Timber Ridge Pediatric Therapy, LLC, at info@TRPTKids.com. From birth, a baby has reflexes present that guide his interactions with the environment. Through these obligatory movement patterns, babies are cued to put the experiences of what they feel and see together to develop skills necessary for exploring their environment. As babies are developing improved head control and core strength, these reflexes become integrated so movement can be freer, children can explore their environment, and new motor patterns can emerge. These primitive reflexes guide combinations of head, arm, leg, and trunk movements that help process movement experiences, maintain head control through that movement, allow for strength against gravity, and encourage babies to look at the things babies touch and grasp in their environment. These early experiences encourage babes to engage in more contact with their environment and they provide the building blocks for skills needed throughout the lifespan, including movement, reading, writing, and mathematics. As children engage in more exploration experiences, those reflexes are something relied upon for more challenging jobs. The wind-up of a pitcher or quarterback, one arm bent behind them and the other extended in front toward their target, is calling on the Asymmetrical Tonic Neck Reflex (the fencing reflex). You may use this same reflex in everyday life as you try to open that tight lid on the pickle jar. The reflex that helps a baby hold his head up and reach when placed on his stomach (Tonic Labyrinthine Reflex) is developing the visual scanning and midline orientation necessary for reading skills. The Moro Reflex (startle reflex) keeps babies on their toes to protect themselves from falling or potentially-threatening experiences. As it integrates, children can learn to process movement and unexpected experiences calmly. Incomplete integration of primitive reflexes has been associated with patterns of challenges in children, including motion sickness, bedwetting, anxiety, math computation difficulties, poor handwriting, weak grasp, visual-spatial problems, decreased balance, and decreased sequencing skills (necessary for reading, spelling, and math) among other things. Reflex integration strategies may be a piece of the occupational therapy treatment plan to help your child succeed in day-to-day activities. For more information about how reflex integration may be impacting your child’s daily success, please contact the occupational therapists at Timber Ridge Pediatric Therapy, LLC at info@trptkids.com. Vision is a multi-faceted sensory system. When thinking about vision, we typically talk about how clearly our eyes see. This is known as acuity and is defined as clarity of the image a person sees. Differences in acuity are typically referred to as being near-sighted or far-sighted. An assessment of visual control looks at the smoothness of movements as well as how two eyes coordinate with each other. The ability of the brain to take information from each eye and put it together to form a useful, three-dimensional image is part of visual processing. This visual image will provide information about our environment and how we fit in that space. The visual system lets us know how big our space is and how things are laid out within that space. Such information lets us know how close we are to furniture or other people so we can make an informed decision about how to move through our space safely and efficiently. When working optimally, the visual system gives us a better sense of how close we are to other objects as we move (depth perception) and of objects that move around us (projected action sequences), like a ball tossed toward us. This visual data is combined with information from the auditory, tactile, and vestibular systems, in particular, to create a stronger sense of the environment and how to most efficiently move through the activity at hand. The brain also learns to manipulate that visual data by looking at how two-dimensional shapes relate to each other as well as how two items might differ from each other. We use our memory to recall small bits of visual information and short sequences of information as well (phone numbers!). Visual processing helps us to find something in a larger picture, even if it might be camouflaged a bit (where is that matching sock?). When there is a breakdown in how visual information is used, a child may exhibit clumsiness or a lack of athleticism. He may show difficulty sitting still when having to attend to visually-based lessons (i.e. at the chalkboard or SMART board). She may make frequent reversals in writing (past the age of 7) or have difficulty writing within the lines provided. He may not align numbers correctly for computing math problems. She may have trouble finding objects in a busy background or have trouble recalling visual information even after multiple exposures. Occupational therapy at Timber Ridge Pediatric Therapy can help identify and work on these issues. For more information about how visual processing may impact your child, please contact the occupational therapists at Timber Ridge Pediatric Therapy, LLC, at info@trptkids.com. What is a sensory diet? How can my child benefit from a sensory diet? Sensory information enters the nervous system through several avenues, including what we see, hear, taste, feel, smell, and how we move/are moved. The nervous system takes this information, interprets it and figures out how best to respond. All the information comes together to form a picture of how the space is set up, what the child’s position is in that space, what opportunities may be available and what ‘threats’ may be present. When sensory information is processed efficiently, a child can maintain a calm-alert state and be best able to tackle challenges. A Sensory Diet is a collection of sensory experiences that activate each sensory system in a manner that will help a child maintain an optimal alert state. A Sensory Diet, designed by a trained occupational therapist, provides the mixture of sensory experiences that your child needs to be the most alert they can be while adapting to the situation and performing with their best level of coordination. The Sensory Diet may specify that certain activities be performed at specific times of day to optimize their impact. Many aspects of the Sensory Diet will work within the child’s already-established daily routine, tweaking how activities are performed to make the most of your child’s sensory experience. Much like a food diet, the Sensory Diet relies on a mixture of larger “meals” and smaller “snacks” to maintain the optimal calm-alert state for your child. Heavy work experiences and deep pressure play can be complemented by particular food snacks (i.e. crunchy carrots or spicy salsa) along with respiration exercises and movement activities. Just as our food needs change, different stages in a child’s life may warrant adjustments in their sensory diet to meet their current needs. For more information about how a sensory diet may help your child, contact the occupational therapists at Timber Ridge Pediatric Therapy, LLC at info@TRPTKids.com. Tactile Processing Part 2 or Why Does My Child Touch Everything?!? Does your child need to touch EVERYTHING? When you go to the store does your child clear the shelves of everything at their level? Children use touch as a means of exploring their environment. As infants, that touch is incidental. As they become more mobile and have more toys placed nearby, infants use touch to learn about texture and how it relates to what they see. As they become more mobile, toddlers use touch to manipulate objects, learning about their shape and weight and determining how that object might be used. As children leave that toddler stage, they are better able to use their visual system to discern some of that information without actually touching the object. But, what happens when our children still touch everything in sight? The tactile system works with a variety of other sensory systems to develop a sense of the world around us. Working with the visual system and auditory systems, the tactile system, along with the deep-pressure sense of proprioception, put together a virtual image of what is soft, hard, rough, smooth, squishy, fluffy, furry, prickly, sharp, heavy, or lightweight. The auditory system provides information about the size of the environment. Are you inside or outside? Is the space large, like a gymnasium, or small, like a closet? If the nervous system is not putting all of the information from the visual and auditory systems together in an efficient manner, a child may rely more heavily on actual interaction with an object or the environment to glean more information. Each opportunity may seem novel to your child and no two experiences are exactly the same. Every time you go to the grocery store, that packaging looks so inviting. How can I help my child to keep her hands to herself? Provide opportunities to engage with a variety of textures and different types of objects. Make a sensory box that has different swatches of fabric, fine sand paper, a Koosh ball, a paint brush, and other inviting textures. During free time at home, invite your child to explore these textures and give them some vocabulary to match what they’re feeling. Give your child deep pressure experiences before heading out to the store. Opportunities to bear weight through open hands will help reset the tactile system and satiate some need for touch before going to such an exciting environment. Give your child something to fidget with that will occupy their hands as they move through the store. A rubber bracelet or a Koosh ball attached to a keyring will help him keep his hands busy as his eyes take in what the environment has to offer. Have you noticed that your child can be hypersensitive to touch, and have a decreased sense of where his body is and how to coordinate seemingly routine movements? Our nervous systems takes in experiences through a variety of sensory systems (touch, vision, hearing, movement, etc.) and uses that information to formulate an effective and efficient response. If there is a breakdown in the interpretation process, the resulting response can be inefficient, clumsy, and even unsafe. Just as people take in and process pain experiences differently, one child may find some sensory experiences overwhelming while another child may never quite find what they’re seeking. Throughout our youth, the nervous system learns how different experiences feel and what to do with that information. Ideally, our nervous systems take in a sensory experience, recognize it, and know just how to respond. In real life, there are times when we just don’t quite know what to make of the situation. The result can be a heightened sensitivity in which many experiences that would otherwise be considered typical appear threatening to this particular individual. The fight-or-flight response may be triggered, appearing as a tantrum or refusal to participate. With regard to the tactile sense, this person may be very sensitive to unexpected touch, often rubbing areas that are touched and possibly misinterpreting the force or intent of the touch (“He hit me!” when bumped in the hallway or lining up at school). Such sensitivity can negatively impact social opportunities and interpersonal relationships throughout life. Managing the stress of hypersensitivity can be difficult. As everyday encounters trigger a stress response, it can be increasingly challenging to attend to a classroom lesson or a conversation with a co-worker. Transitions from one location to another (i.e. walking in hallways, standing in line, etc.) can be difficult to negotiate successfully. The heightened sensitivity is representative of a decreased ability to efficiently interpret tactile experiences. These experiences inform the nervous system about body position and their place relative to their environment (furniture, peers, etc.). While a child can be acutely aware of touch experiences, they struggle to coordinate day-to-day things like keeping materials within their space, moving safely around furniture, and leaving enough room as they move around other people. What can you do to help make touch feel more comfortable for a sensitive child or adult? • Make sure the person you are approaching sees you coming. Being visually aware of the approaching touch can reduce the sense of threat associated with touch. • Ask before giving a hug or touching someone. Offering control to someone, letting them initiate the hug, can make a world of difference in their level of comfort with the interaction. • Use firm pressure. Use an open palm and consistent pressure to avoid light touch experiences that can feel more disorienting. Spinning is a form of movement that can reach deep within the nervous system to give us a stronger perception of our body position and it can elicit a variety of responses. Speed, direction, and the active participation of the child all influence the body’s response to movement experiences. It’s the starts and stops that help the movement sensation sink into our nervous system. We quickly acclimate to flying in the air at 35,000 feet or coasting down the highway in our family car. It’s the take-off and landing, merging into traffic, and exiting on the cloverleaf that help us remember that we are moving in space, propelling ourselves against the forces of gravity. Those changes in position interrupt the signal that is getting into the nervous system and they activate our core muscles to stabilize our posture. That’s what makes movement so powerful. People have different tolerances for movement and society has built in so many opportunities to activate our vestibular system. We see regular swings and tire swings, straight slides, tornado slides, and ride-on toys at the park. Carnivals and amusement parks provide Tilt-a-Whirl, spinning Tea Cups, and a variety of roller coasters moving at different speeds and intensities. People seek out, or avoid, those experiences that provide a meaningful experience for them. Responses to movement can vary greatly. From no apparent response to giddiness to motion sickness, the nervous system has a variety of ways to show us what it thinks of the movement we’re experiencing. Each response tells us about how that particular nervous system is processing that particular movement experience. What can you do to help your child process movement more efficiently? Provide opportunities to work in a variety of positions. Create an obstacle course: crawl through a tunnel or under a chair, do somersault, jump from one piece of paper to another, walk on a line, and crash onto a cushion. Change the speed or direction of movement at the playground. Have your child propel their own swing and control the direction of movement. Play Red Light/Green Light when running about the playground or playroom. Heavy work help calm down the nervous system, offering postural activation to provide that hard stop. Push-ups against the wall, desk, or floor offer deep pressure through the shoulders and core muscles and are very useful for resetting a stressed nervous system. Regardless of the movement experience it is always useful to add a heavy work experience during/afterward. For more information about how to make the most of your child’s movement experiences, please contact the occupational therapists at Timber Ridge Pediatric Therapy, LLC at info@TRPTKids.com. How can we get back to “calm”? What do you do when you’ve had a challenging day and just need to “chill out”? Many of us have “go-to” strategies that help us reset for the next activity or next day. Some strategies include food, drinks, music, exercise, or just curling up in bed and hiding from the world. As adults we’ve developed these strategies for better or worse. How do we help kids stay calm and alert (regulated) and how can we help them get back to their “happy place” when things go awry? Deep Breathing: Respiration can be a really meaningful tool for helping someone slow down and refocus. Yoga, meditation, and martial arts use breath control as a means of calming and focus. Focus on taking a deep breath in through the nose and exhaling through the mouth. You can cue a child to “Smell the flowers” and “Blow out the candles” to help them plan and execute this respiration pattern. Focus on extending the exhale to help your child slow down and calm down internally. This strategy can be beneficial for the children who are stressed and for their caregivers. Do it together! Deep Pressure: Proprioceptive input can be a great calming tool. Who hasn’t wanted to curl up in bed under the blanket to get away from the stress of the day? Deep pressure and active muscle use through the joints skeletal system helps “center” a body and provide some much-needed boundaries to feel safe and secure. This strategy is particularly helpful if movement has resulted in motion sickness or over-stimulation. “Steamroller” your child while they lie on their stomach on the floor by rolling a ball or using your hands to give a deep pressure through their body. Movement should be slow as if rolling out dough, spreading the “calm” through their body. Deep pressure through the shoulders is another helpful strategy for a child who is sitting up. Paired with Deep Breathing, Deep Pressure can be a source of calm. Visual Cues: By refocusing gaze, we can help make the world a little smaller and more manageable. Providing a written list of what’s to come (a schedule or a to-do list) can help them move through a task one step at a time feeling more control and more aware of their accomplishments. Review it aloud with the child. Even children who can’t read or don’t speak, having something visual to focus on and that can make all the difference in their level of focus and calm. If you’re looking for more strategies to help your child maintain their calm-alert state, an occupational therapist can help assess the areas of stress and the best strategies for calming down. For more information, please contact Timber Ridge Pediatric Therapy, LLC at info@trptkids.com. Why does my child act in such extremes? If your child is experiencing strong sensitivities to something in their environment, they may act in a mode of self-preservation. While most sensory experiences today aren’t life-threatening, our nervous system relies on a fight-or-flight pattern to protect us when situations reach a certain level of stress. This was really helpful in the days of the caveman, not so necessary nowadays. When a child (or adult) is exposed to recurring experiences that stress their nervous system, it can be harder and harder to recover to a calm alert state. Seemingly little things can put someone over the edge, a shirt tag, sock seams, a ticking clock, or a ride in the car. Sometimes the trigger can be a little more obvious, such as a change in schedule or routine. Identifying the trigger(s) and working with your child to decrease exposure and allow more “recovery” time between experiences is an important start. Following up with strategies to meet the specific needs of your child will help desensitize the nervous system and enable your child to respond in a more constructive manner. That kind of success can put everyone at ease and build confidence. Occupational therapy can help assess what triggers are at work and identify the best strategies to help sensitive nervous systems become more flexible. Treatment plans are designed with your child’s specific needs in mind and strategies are implemented to increase tolerance levels and improve coping skills. An occupational therapist will work with you to improve sensory processing and stress management in the session and carry those successes over to the home and school environments. If you have questions about your child’s sensory processing or self-regulation, contact Timber Ridge Pediatric Therapy at info@trptkids.com. 1. Executive functioning is primarily controlled by the prefrontal cortex of the brain. 2. Genes and hereditary play a large role in executive function skills. 3. Kids with ADHD, learning disabilities, psychological conditions, autism and other disabilities and disorders have a greater chance of challenges in executive functioning. Occupational Therapy can help treat challenges in executive functioning and therapeutic activities may include creating therapeutic obstacle courses, yoga activities, strategic games, or creating meals from a recipe. If you think Executive Functioning might be an area of challenge for your child reach out to an OT to find out more! 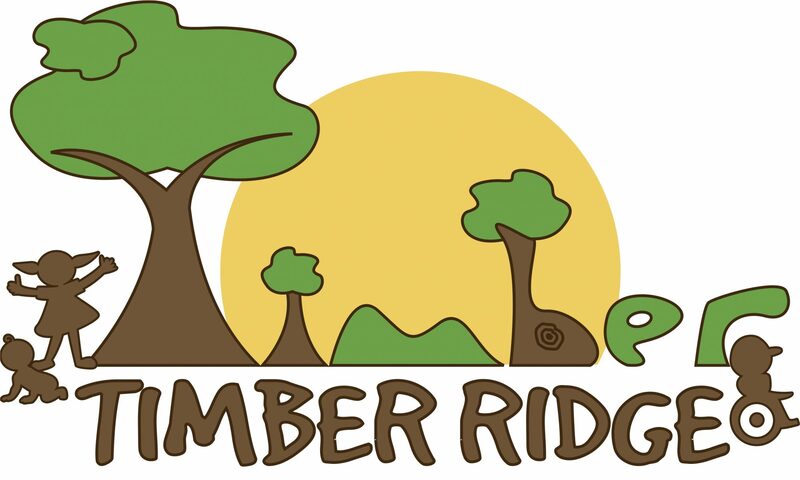 Timber Ridge Pediatric Therapy offers free screenings and consultations with an OT. Center on the Developing Child at Harvard University (2014). Enhancing and Practicing Executive Function Skills with Children from Infancy to Adolescence. Have you ever wondered how a child turns their thoughts into actions? The answer is Praxis. Praxis is a skill that people use to organize and engage in new activities. Praxis involves coming up with an idea, planning it out, doing it with ease and rhythm, and problem solving what went right and wrong after. Does your child have a hard time learning new skills, become frustrated with new tasks, appear disorganized, have difficulty playing sports, have sloppy handwriting, have difficulty dressing, or look inefficient in their actions? The term used for these difficulties is Dyspraxia. Children with dyspraxia have a difficult time planning and carrying out a skilled, novel, motor task in the correct sequence. Children with Dyspraxia use a lot more energy to judge the amount of force, and rhythm required for a movement. When children don’t have these adequate skills they can’t work efficiently or effectively and this causes a lot of frustration. It can also impact a child’s belief in himself and sense of control, in turn impacting satisfaction. Some, but not all children with Dyspraxia have impaired sensory processing and therefore have incomplete knowledge about their own body making movements even more difficult. Treatment for dyspraxia focuses on many things including creating motor memories. In order to create a motor memory a task must be repeated 4 or 5 times so it becomes automatic. If you think Praxis might be an area of challenge for your child reach out to an OT to find out more! Sensory Integration Theory and Practice by Fisher, A., Murray, E.A., & Bundy, A.C. (1991). Philadelphia by F.A. Davis Company. Clinical Assessment and Practical Interventions for Praxis: From ideation to Execution. Presented by Teresa May- Benson, MS, OTR /L. August 6-7, 2004. Oakbrook, IL. Indoor Therapeutic and Fun Activities (until spring finally gets here)!! Spring is almost here, but I still feel the need to come up with creative solutions to avoid cabin fever. Here are some ideas to avoid cabin fever and work on an OT home program at the same time. Did you know that you can create multiple therapeutic games just by using a newspaper? In this article, I will give you different game ideas that you can create! Goodbye cabin fever, hello fun!!! Does your child often bump into things and fall? Does he have difficulty with balance and coordination? This activity works on motor planning, bilateral coordination, and turn taking. Lay a newspaper section down to mark “start.” This section is called home, and each game begins from “home.” Lay a second square in front of home and have the player jump (with both feet together) over the second square. Then lay a third square in front of the first two, and have the player jump over both. Keep adding squares and see how many squares the player can jump. Whoever jumps the farthest is the winner! Does your child have difficulty using his hands to bend and fold things? Does he have difficulty following along during a project? The following activity works on fine motor coordination, hand strength, and ideation. Here is another way to make a newspaper hat that is easier. Have your child place three sheets of newspaper on his head and wrap masking tape around the paper at the level of the child’s forehead. Cinch the newspaper with tape to form the hat’s crown. Roll and crumple the paper that sticks out beyond the tape in order to create a derby-style hat. You can also paint or decorate the hats with stickers afterwards. Does your child have difficulty with balance? Does he have difficulty with walking or running in a coordinated fashion? This next two activities works on body in space awareness, motor planning, coordination and core strength. Lay newspaper sections on the floor and pretend that they are “stepping stones.” Take turns stepping from one stone to another. Take turns moving the newspapers to form different stepping stone paths. You can put the stones closer together (for little steps) or move them farther apart (for more stretching). You can also increase the challenge by having your child bounce a ball while stepping from stone to stone. Lay newspaper sections out in a line, each square a small distance away from the other one. The players weave in and out of the squares like they’re slalom skiing. Add a challenge by timing each run. The object is to see how fast they can “ski” without touching the newspaper sections. After completing these newspaper activities, your child is a double-winner! Not only did he have fun and find ways to conquer boredom, he has worked on essential skills such as gross motor strength, fine motor coordination, body in space awareness, and turn taking. Gift giving season can be particularly difficult when you don’t know how to determine whether a certain toy is developmentally appropriate. As an occupational therapist, we determine which games and activities are appropriate for a child based on the milestones that they are expected to meet at that age. We keep in mind the child’s developmental levels in areas of motor planning, fine motor and gross motor coordination, bilateral coordination, sensory processing, strength, executive functioning, etc. *For specific questions about toys, feel free to contact your occupational therapist. Smith, J. (2010). Occupational therapy for children (6th ed., pp. 73-97). Maryland Heights, Missouri: Mosby/Elsevier. Core Strength: How Does it Really Impact My Child? As adults, we learn how important core strength is for our daily involvement in activities and to prevent us from injury. As an occupational therapist, I have to work to strengthen my core to protect my back so that I am able to better do my job. You may be asking yourself, “What are the implications for my child? Why is it so important?” Yes, the obvious are still true: it will help your child in increasing their engagement in play and involvement in more sports/activities. However, it is also important to have a strong core and good endurance to prevent fatigue in daily activities. Poor core strength and endurance can often be seen directly in the classroom and can have an impact on engagement and learning. Kids that present with challenges in core strength can often be observed leaning their head in their hand during fine motor and writing activities at their desk. They can also demonstrate difficulty maintaining a simple upright posture as they listen to their teacher and may appear tired or fatigued with their head on their desk. Some teachers may perceive their students as being uninterested or wonder if they got the required amount of sleep the night before, but this may not be your child’s reality! Often many kids lack the core strength necessary to keep their body in a position against gravity and this is commonly observed when they are required to engage in other ways (and recruit other muscles), such as writing. Next time you see your child or student with challenges staying upright at their desk, look beyond the possible lack of interest or effort and question if they truly have the strength necessary to maintain a static upright position for long periods of time. If they are unable to stay upright and attend to what is happening in front of them, they may likely be missing some of the educational information being presented. Talk to your occupational therapist if you have additional questions! Yoga: As Therapeutic for Kids as it is for Adults! I’ve got yoga on the brain! This summer at Timber Ridge we started a therapeutic yoga group. We are equipped with a fantastic yoga instructor, two occupational therapists and two-three volunteers for six kids! I am getting so much out of it, personally. I am so in love with this practice because I see how wonderfully the kids are responding to it. All kids can get involved with yoga provided the right instructor and appropriate support. In our group, we are able to work on stretching and flexibility, strengthening and endurance, body awareness, motor planning, and self-regulation. Does it get any better than that? It actually does… the kids are also interested in each other, and they are making new friends. While it has only been three weeks, I am already seeing wonderful results in the children. One thing I notice, above all, is their improved engagement, focus, enjoyment and confidence. There is nothing better than seeing children leave your session feeling good about themselves. They are moving their bodies in ways they never thought possible as they connect to their bodies, minds, feelings, and breathing. The “relaxation” concept at the end of the session is more challenging for our little ones, but just like the poses and breathing, deep relaxation is a practice too. I cannot wait to see what the next couple weeks will hold for our little yogis. It is such a pleasure to see them grow and get stronger in every way possible, physically, mentally, and emotionally…and have so much fun at the same time! The Park: More than just FUN! Summer is here! I encourage families to spend as much time as possible at the park this season. The park is not only fun for your child, but can be therapeutic as well! For kids with motor planning challenges, some instruction on how to use the equipment might be necessary. You can set up fun obstacle courses using the equipment to work on motor planning and sequencing. Swings are a great choice for vestibular activity- kids can sit upright or swing on their tummies. For kids seeking intense vestibular input, you can also utilize the spinning equipment! Be cautious with spinning, and always remember to have your child engage in a proprioceptive or deep pressure/heavy work activity following the vestibular activity. This can be achieved in the form of basic climbing, pulling themselves up a slide on their tummies, or swinging across the monkey bars. Each of these activities are a fantastic way to build upper extremity and core strength. The playground is a great place to naturally address tolerance, peer social interactions, and turn-taking. Don’t underestimate the playground! If used strategically, it can be a great therapeutic place! Do you have a hard time with your child at meals? Do you feel like you are cooking a separate meal for each individual around the dinner table? Is this causing a strain on your family’s and your meal times? There are ways to work with your picky eating child to expand their food choices. It is typical for all kids age 2-8 to be picky with their food choices. However, some children have underlying sensory processing or physiological challenges impacting their ability to explore a variety of foods. Of course each child is different and some are more adventurous or restrictive with what they will eat. If you are questioning your child’s nutritional intake, first speak with your child’s pediatrician who may refer you to a registered dietician (opposed to a “nutritionist”). Then you can see what foods your child needs more of, whether it be carbohydrates, fats, or proteins. You can work with your occupational therapist to expand your child’s repertoire through specific chaining methods as well as behavioral strategies. This summer Timber Ridge is offering a Picky Eaters group to begin to explore different foods and gain acceptance around trying new foods. Are you wondering if your child is ready for potty training? Potty training readiness is not simply determined by the age of the child, although many children begin to demonstrate common indicators around the same age (3 years old). For typically developing children, it is important for your child to demonstrate several markers indicating readiness. You will want to work with your child on potty training when he/she is interested in others using the toilet, generally compliant, and responds to positive reinforcement or rewards. Physically, you will want your child to be able to independently sit upright on the toilet, be able to get onto and off of the toilet, and independently engage in parts of the dressing process (pulling pants up/down). It is also important for your child to have the ability to notice when he/she is soiled or wet and has dry periods lasting approximately two hours in duration. Lastly, it is helpful for your child to have language for urine or bowel movements. While these markers are very important for typically developing kids, it is not recommended to wait on these factors for kiddos with special needs. Does your child have sensory processing challenges making this process more challenging for both you and the child? Talk to your occupational therapist who may be able to assist you in the process by utilizing sensory smart techniques and strategies. Wild, Gwen. (2015). Toilet Training for a Sensory Perspective [Lecture and Powerpoint Slides]. Many parents often ask about tips and tricks for calming their child before bedtime. We often hear that for some reason, their kiddo gets wound up before bed and has a hard time settling down. You can help change your child’s level of arousal by providing different kinds of sensory stimulation. Some kids do great with just a book or two read to them, and they are able to fall asleep. Others, however, require a little bit more calming input to wind down. Parents can use a variety of different tools, and each kid is unique in what works for them. Some kids love deep pressure before bed time such as pillow squishes, lotion massages or bear hugs. Other kids would benefit from auditory input such as calming music or white noise. You can also try providing additional warmth for your child, such as cozy plush stuffed animals, extra blankets (also good for deep pressure), or warming up your child’s sheets or comforter in the dryer before bed time. Some kids benefit from slow calming movement, such as a rocking chair or rolling on an exercise ball. Lastly, visual stimulation can be calming for some kids, such as an aquarium DVD or the use of a lava lamp as a night light. Each child is different, so you’ll need to play detective with your occupational therapist to determine which strategies help calm your child so they can get to sleep easier at night. The Super Bowl blizzard really inspired me to write an article about all of the POSITIVE aspects of the snow. The snow offers such a wonderful sensory experience for kids. Get your kiddo bundled up and send him or her on their way. Rolling in the snow or sledding down a hill is great vestibular input. Jumping and crashing into the snow is great proprioceptive input as well. Kids can build forts or snow men, create snow angels, or throw snowballs at targets. All of these backyard activities offer opportunities for motor planning, body awareness, and upper limb coordination. All the while, your kiddo is building strength as they trudge through and interact with all the white fluff! These are fun and naturalistic activities that all children need. Kids need to get out and play! So don’t let the snow stop you…embrace it and enjoy it! My favorite heavy work activity in the snow is having your child help out with the shoveling. It doesn’t get much better than that! Kids have to use their whole body and strength to push the snow, giving them great input that they might not be able to get indoors. Not to mention, you’ll have yourself a great little helper! Feel free to reward your little helper with a nice mug of piping hot cocoa to follow. Enjoy the snow, and of course, stay warm! As therapists and parents, we often think about our children in terms of what they “should” be doing at a certain age. Johnny “should” be able to ride his bike in first grade. Samantha “should” be able to tie her shoes by the end of kindergarten. Should they really? We often put such emphasis on what our kids aren’t doing and “should” be doing instead of celebrating their strengths and accomplishments. Furthermore, when we begin to use this language with our kids (i.e. “Rebecca, you should be able to clean your room by yourself), we run the risk of introducing my second least favorite word…Shame. What we say to our kids, how we treat them, and ultimately, how we view them, impacts the child’s sense of self-worth and well-being. Our kids are smart! They can easily detect our negative thinking and disappointment. So, what we “should” be doing is removing this type of language from our vocabulary and thought processes and mindfully trying to change our perspectives. All kids develop and acquire skills at different paces. It is our responsibility to cheer them on! We are the ones to pick them up when they fall and encourage them to keep going. Each child is unique and their individual talents should be celebrated. No child deserves to feel shame and we don’t need to think about our kids in terms of what they “should” be doing. Some activities and skills may be more challenging. That’s normal. We’re all unique, and what is easy for one child may be challenging for the next. It is our job to help our children develop those skills, and they’ll get them at their own pace! Besides, if your child needs a little extra help to achieve his or her goals, that’s what OT is for! ? …Not because they “should” be able to do one thing or another. Play is such an essential occupation for kids. As parents and therapists, we have the power to help guide and nurture our children’s development through play and appropriate toys. A lot of parents often ask about great fine motor toys for their kids. They want to improve their hand strength and grasp so that they can hold a pencil properly, manipulate their own fasters, and open their own packaging. Below is list of a couple toys that might tickle your fine motor fancy. It is important to grade these activities so that the activities are challenging, but the child also experiences success. Be sure to check out the age range of the toy, or talk to your occupational therapist to see if the toy is suitable for your child. Parents, educators and therapists want to create a positive environment conducive to learning. Sometimes we do this by displaying artwork, and constructing creative and bright backdrops. While these creative displays may foster interest, they often distract the child from the task at hand. Creating a sensory smart environment in the school is just as crucial as in the home. Children need to be able to work in a space that is free from distractions and clutter to give them the best learning opportunity. There are several things to think about when creating your sensory smart learning environment. The first is visual distractions. Eliminate pictures and artwork on the walls. It is also important to remember to only display the necessary posters, etc. on a wall in the school environment (i.e. schedule, calendar). Additionally, position the home desk in a corner facing a wall or facing away from activity that may be going on. If your child can see all the other activity taking place in the room, chances are they are more likely to look up and thus, lose focus. In a school, you can use study carols or folders to provide a screen from visual distractions. Another point to take into consideration when organizing desk configurations is that some kids work best with their desk apart from peers, near only one peer, or in a group. It is important to take over- and under- responsiveness into consideration when setting up the classroom. The noise level is another aspect to consider when creating a sensory smart environment. Does your child work best with white noise or soft music? Do they need complete silence? Is there a lot of raucous going on that is impeding upon their learning? Headphones and ear plugs are other strategies to eliminate unwanted noise disturbances. Lighting can also be a key element in creating an effective work environment. Is there enough lighting to see their work or are they straining their eyes? A table lamp is a great piece of equipment to really put the focus on the work at the desk. Is the light too bright in the room and this is impacting the child’s productivity? Old fluorescent lighting can often create sensitivities for the eyes and ears. An organized space is also extremely beneficial to the child at work. A disorganized work space can foster a disorganized child. Parents can organize work materials with various bins and drawers to simplify the child’s learning environment. You can also involve your child in the organization process! Movement breaks are also key during longer work periods. Have your child get up and move around and get their blood flowing. Give their mind and body a break from the strenuous activity of sitting in a desk and doing homework! Kids can take a short walk, do jumping jacks, stretch, etc. It is important that they move every once in a while. Some kids need it more often than others. Overall, if you take nothing else away from this article, be cognoscente of this: our environments impact us! If we are working in an environment that is comfortable to our senses, we are more likely to work more efficiently and be less distracted. There are many other modifications that can be made to the classroom or home environment, but these are just a few to consider! Despite the technological era, handwriting continues to be a crucial tool used in the classroom. Many wonder why handwriting is such an important tool, and why we place such an emphasis on it during early years. Research continuously supports handwriting’s impact on early literacy and academic performance. It is important for children to be skilled in handwriting so they can attend to higher level cognition as it relates to writing sentences or completing math problems. If the child is so focused on the formation of the letters and numbers, it becomes challenging to really give all their mental capacity to the assignment at hand. In many cases, children who struggle with handwriting may avoid the writing process which impacts development of thoughtful, creative, fluid and high quality writing (Graham, Harris and Fink, 2000). Poor handwriting has also had negative implications related to school achievement and the child’s self-esteem (Engel-Yeger, Nagakur – Yanuv & Rosenblum, 2009; Malloy-Miller, Polatajko & Anstett, 1995). Many foundational skills are required for successful and neat handwriting such as fine motor coordination, core and proximal strength, hand strength, spatial awareness, bilateral coordination/midline orientation, etc. It is important to work not only on the skill of hand writing but to address all foundational components. Don’t give up on building those handwriting skills, as they will continue to impact the child all through their academic (and later professional) career. At Timber Ridge, we take a developmental and multisensory approach to handwriting to make the process easier (and more fun!) for your child.